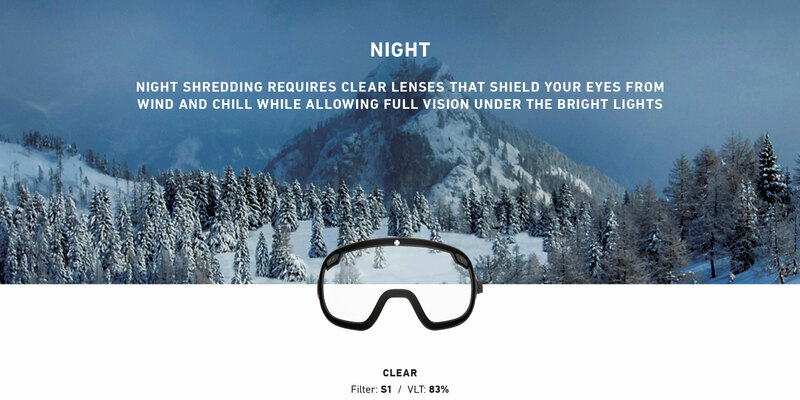 Dull landscapes vanish with Happy Lens, providing increased clarity, sharper focus and accentuated changes in terrain while reducing eye strain and improving your mood and alertness. 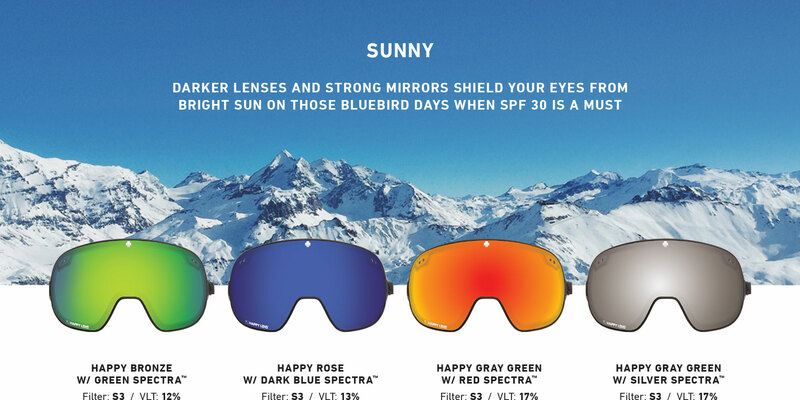 Light conditions can change at a moment’s notice, and our range of lens and lens change options allow you to quickly adapt, letting you focus on your run instead of the sun. 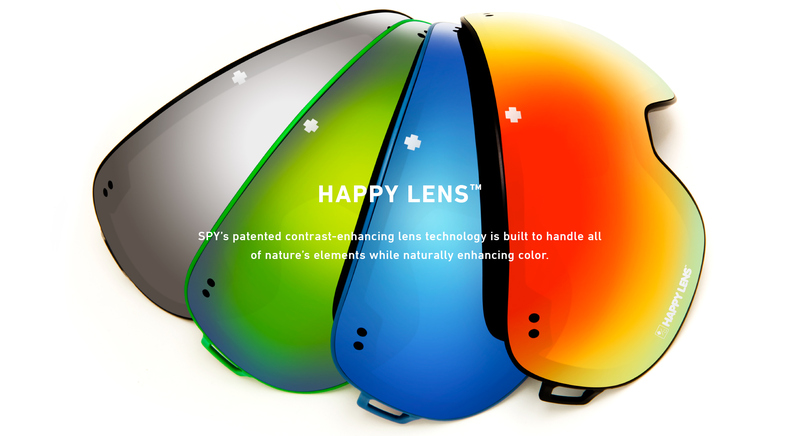 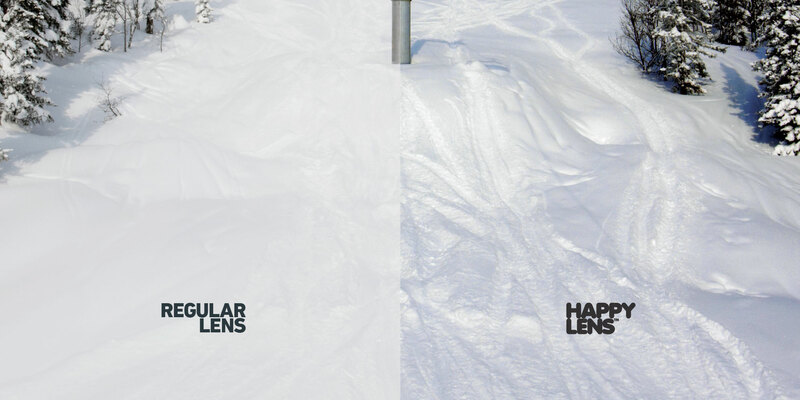 Our lens technology isn’t the only thing that will make you happy. 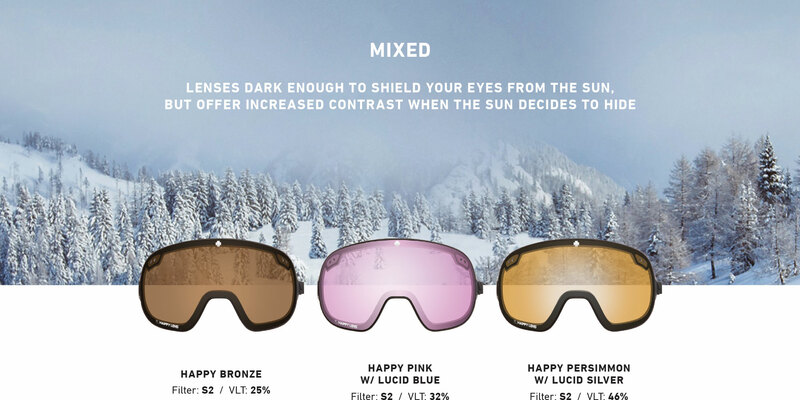 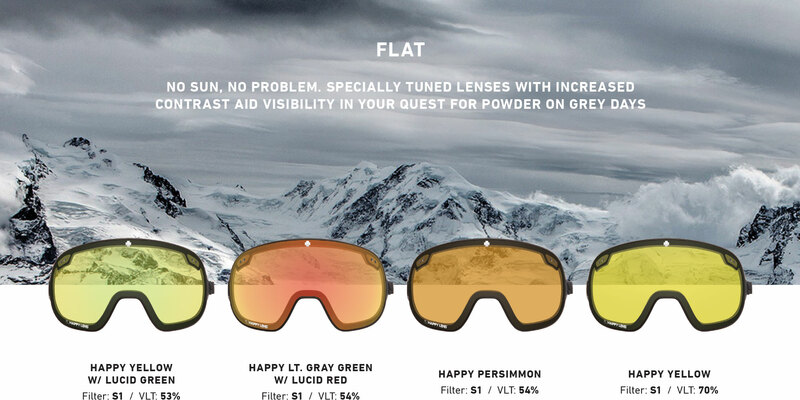 Take a deeper look at the design and engineering that goes into every pair of SPY snow goggles.